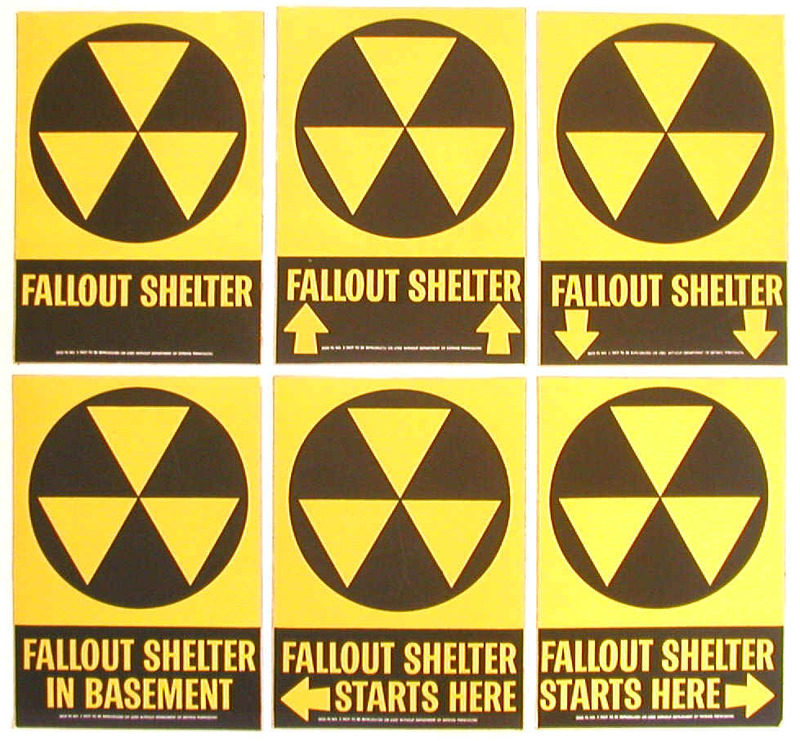 Types of interior and exterior fallout shelter signs. By the mid-1970s, civil defense was all but forgotten in D.C. The DCD had been recast as the Office Emergency Preparedness, and now dealt almost exclusively with preparing for natural disasters and crowd control for parades and demonstrations. [vi] The Post would write of D.C. shelters as a historical curiosity, reminding readers of the vintage crackers, portable toilets, water drums, and tins of rock candy moldering in basements across the city. [vii] But some found utility in the old shelter stock. In 1974, twenty tons of whole-wheat crackers—fallout shelter rations baked in 1962—were removed from the streetcar tunnel shelter beneath Dupont Circle and sent to Bangladesh to feed victims of monsoon floods. Street people had also made a home of at least one shelter among the stacks of old cots, mattresses, stretchers, and toilets. [viii] Hundreds of other District shelters were dismantled and forgotten as the years progressed, the interior and basement spaces retaken for other purposes, and the provisions eventually discarded. 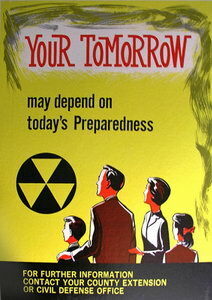 Today, fallout shelter signs are the only remains of a decade of civil defense preparations in Washington. [i] “673 Buildings Licensed As Fallout Shelters Here,” The Washington Post, March 28, 1963, p. B2. [ii] Civil Defense 1965 MP-30, Washington D.C.: United States Department of Defense, Office of Civil Defense, 1965, 15. [iv] “Public Is Indifferent to Tests of Air Raid Sirens,” The Washington Post, July 16, 1972, p. D7. [v] “Nuclear Fallout Shelters Are Persisting Despite World Détente,” The Washington Post, November 16, 1972, p. G6. [vii] “Bangladesh Hungry to Get Biscuits Kept in CD Tunnel,” The Washington Post, September 14, 1974, p. D1. [viii] “Bangladesh Hungry to Get Biscuits Kept in CD Tunnel,” The Washington Post, September 14, 1974, p. D1.